Two in a row to make up the time I was absent! 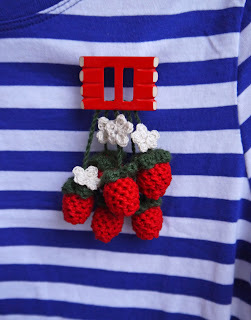 This craft was inspired by the acorn brooch in the last post. Last time I made a quirky dangling acorn brooch with crocheted acorns and belt buckle decoration. 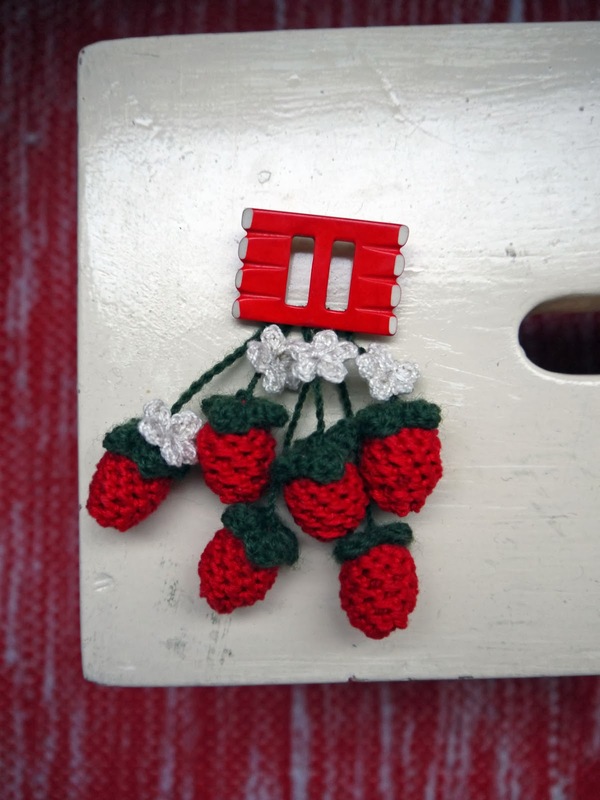 The craft in this post was made with the same theme: crocheting edibles. 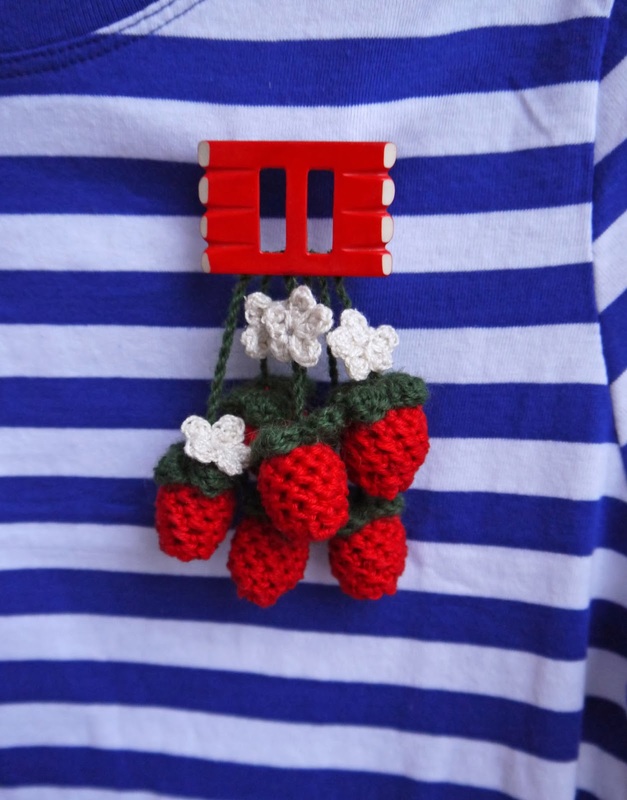 You can find many free crocheting patterns and instructional videos for strawberries online. They are very useful, but of course you must alter the pattern to suit your purposes. I started with 4 ch(s) made into a loop and doubled them. Then crocheted my way towards the narrowing. Again alter to suit your purpose! Acorn doesen´t fall far from the tree.